TICKETS ON SALE FEBRUARY 1! 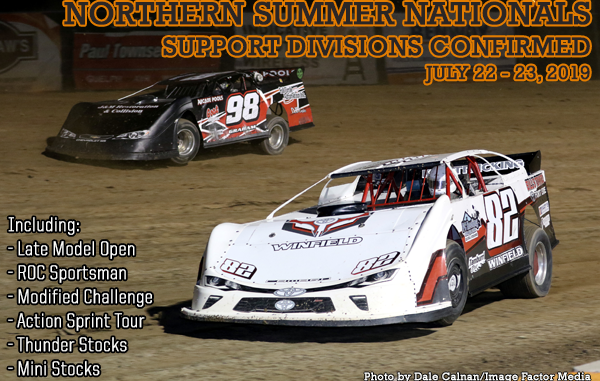 Tickets and camping for the Northern Summer Nationals will go on sale February 1st, 2019 online at https://ohswekenspeedway.ticketforce.com/, while previous Major Event Ticket Holders can log-in to their accounts immediately to purchase. The complete 2019 Ohsweken Speedway Friday Night Excitement schedule will be released in the coming weeks, including details on the track’s 24th season opener and the 15th annual Canadian Sprint Car Nationals schedule for September 12-14, 2019. For more information on Ohsweken Speedway and the Northern Summer Nationals, visit www.ohswekenspeedway.com.